I’m not sure I have the patience, or the smarts, to learn how to do all I’ve learned with Microsoft’s Power BI, but maybe I should. 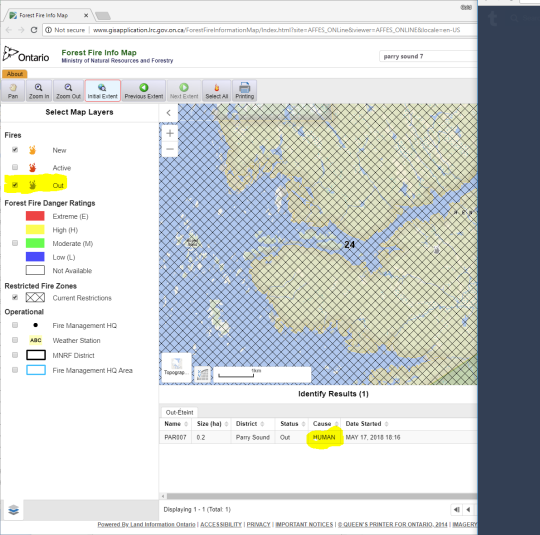 I’m astonished with the power of this map in filtering the data table! A quick post with commentary on a graphic. I’ve been writing little but learning more recently. I’ve written multiple times on the inability of Ontario to fully utilize its water rights on the Niagara river, so that’s some data that I looked to learn some new data connections and summary techniques. Having advanced to where I can easily update to the latest available data I thought I’d share this view summarizing it – and offer some brief comments explaining the significance. 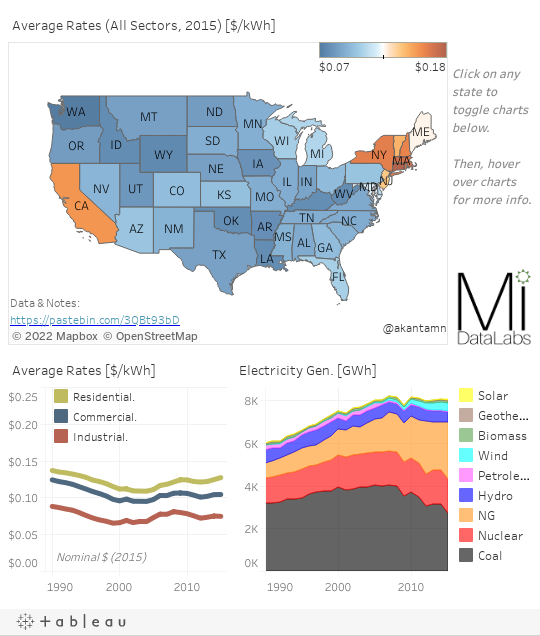 Electricity prices, and costs are aspects of a project I’m trudging through working with electricity data from the United States. I’ve developed a Power BI report which probably deserves a lot slicker interface, but time is limited. 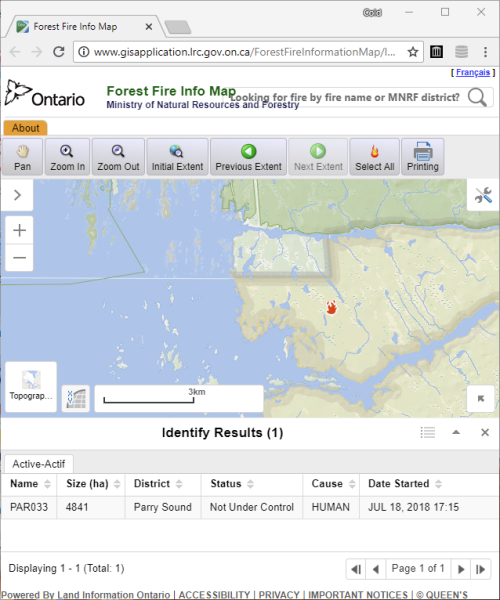 This post offers directions on controlling the reporting, and adds some Ontario context to the graphics. My primary intent was to create imagery of average monthly electricity cost, by state, for residential consumers. Rates get a lot of discussion, even more so in recent weeks, but I’m not convinced an isolated rate analysis is useful. A recent Scientific American article featured a smart BI report by Abhilash Kantamneni ( @akantamn on Twitter ). Due to an exchange on Twitter I’d had with Abhilash a couple of weeks ago, I wanted to build a view that showed both rates, and average monthly consumer costs – because it turns out these are much different things. Ontario Power Generation Inc. (OPG or Company) today reported net income attributable to the Shareholder of $860 million for 2017, compared to $436 million in 2016. That must be considered a great number in the context of the income history at OPG as it’s the highest they’ve ever accomplished. The apparently excellent results may leave some wondering what critics commenting on the sector have been braying on about. I, a critic, have reviewed the results and found some things to bray about.